When Lucy Robinson opened the beautiful 1876 Ben Maddox House Bed and Breakfast in Visalia, California, Lucy knew she would be sharing a bit of colorful California History with her guests who enjoy her majestic, historical home situated between century old trees and fragrant rose and herb gardens, all just a short drive from Sequoia National Park and Kings Canyon National Park, and a morning drive from Yosemite. What Lucy didn’t know was that she would be using her lifelong passion and endless talents to create a haven that touring couples and honeymooners from all over the world would come to love and revisit year after year. Lucy having owned and operated numerous inns in Ireland, brings exceptional, meticulous, attention to detail to the table along with sumptuous, custom, cooked to order gourmet breakfasts. 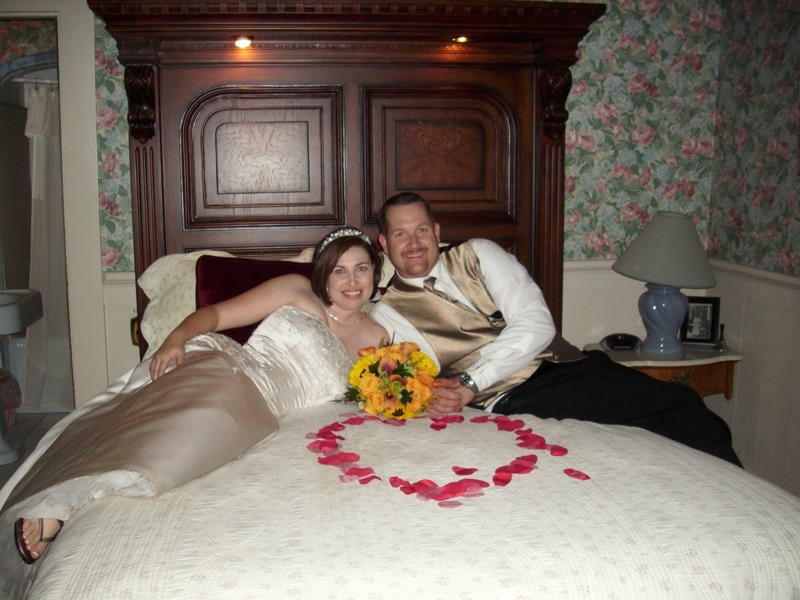 Honeymooning couples appreciate the little extras, like how Lucy arranges rose petals on the bed, and provides hand-dipped chocolate strawberries, special wines and champagnes, imported gourmet cheeses and appetizers all in a supremely elegant ambiance. The location of Ben Maddox House is conducive to so many wonderful nearby road trips and jaunts with nearby farming communities like the charming nearby town of Exeter with its beautiful boutiques and eateries. Three national parks nearby, make the Ben Maddox House a wonderful hub for enjoying some of California’s best. Rarely does one find a Bed and Breakfast where the sheets are meticulously pressed daily and a refreshing pool awaits any couple seeking a private moonlit dip in the gardens. 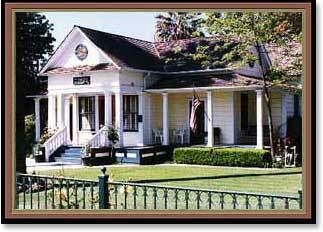 Only a romantic five-minute stroll from Ben Maddox House, The Vintage Press, Visalia’s most elegant dining experience is a must with its four distinctive rooms, classic seasonal menus and exemplary service. Chef David Vartanian creates beautiful and delicious entrees and desserts. The Vintage Press is simply the best in California’s central valley and so is the Ben Maddox House, making the two a marriage made in heaven. And isn’t that how all good honeymoons begin?